Share your decor ideas for a share in the ad revenue. Click on Write For Us. 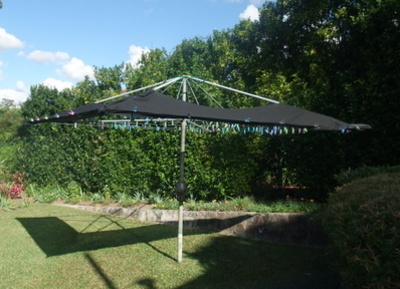 Have a 'vintage' hills hoist smack bang in the middle of your yard. Make it over for your next kids party. 1. 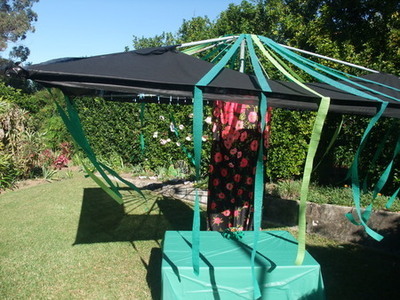 Wrap the garden bed fabric along the base of your hills hoist one panel at a time. 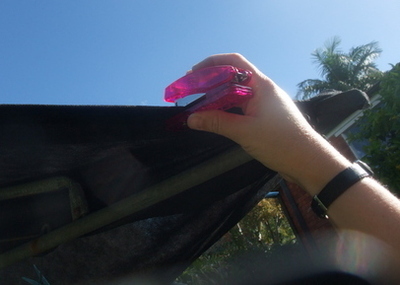 Secure with pegs then staple along the bottom. 2. 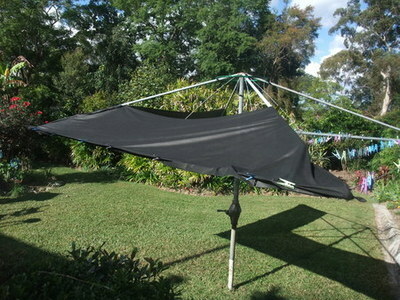 Use double sided tape along the metal of your hoist and press fabric down along it. Tape and staple the fabric to the hoist to secure in place. 3. 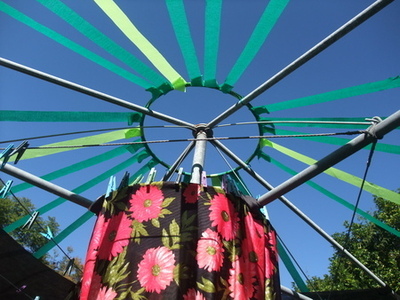 Secure a hoop around the top of the hoist with black tape on the four metal sides. 4.Staple your streamers around the top of the hoop. 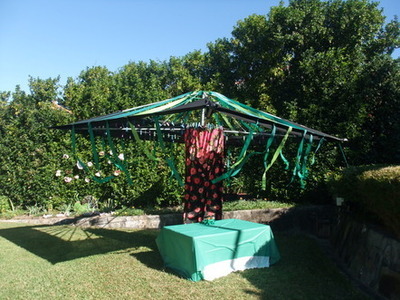 Staple the streamers again at the base of the fabric then let them drop to the grass. 5. Set up kids table and food under it. Enjoy your festive hills hoist.